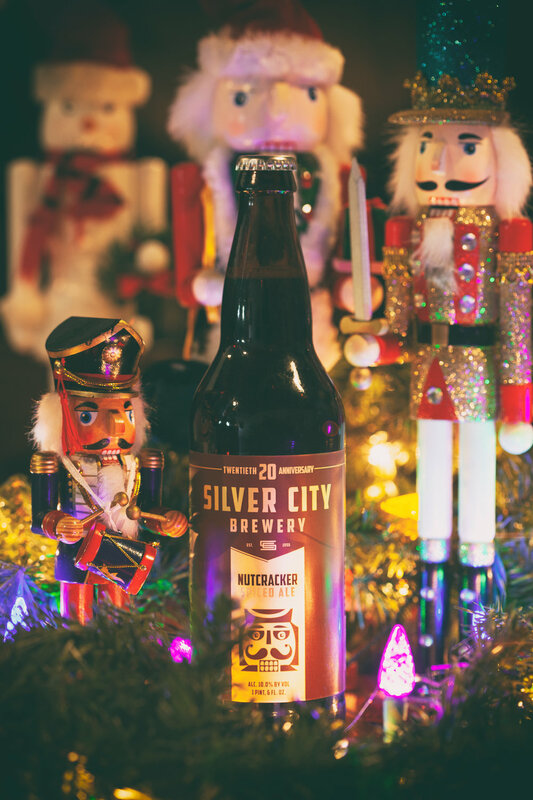 Ringing in the holiday season with a medley of dark roasted malt, fruit, and spice, Nutcracker Spiced Ale has been a small-batch, draft-only tradition at Silver City since 2005. Distinctive Belgian yeast adds spice character, as do additions of brown sugar, ginger root, and mandarin peel. Beer will be on draft and in 22oz bottles for a limited time!